With a wide array of practical heavy-duty applications, the GF-series by FOOTMASTER offers a low-friction and noise-free option for your heavy-duty machinery, equipment, or carts. 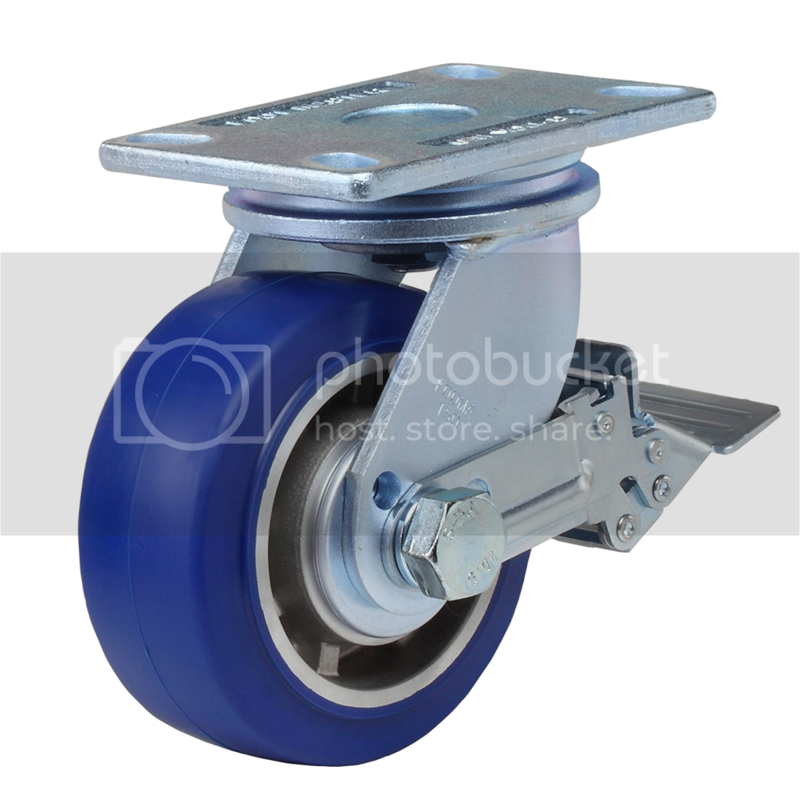 The GF-series casters are available in 4” (100mm), 5” (125mm), 6” (150mm), and 8” (200mm) and boast a dynamic load capacity ranging from 1453lb-2204lb (650kg-1000kg). 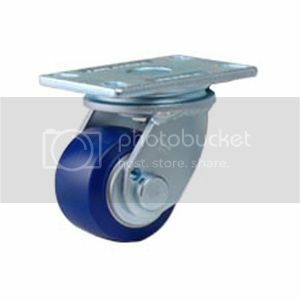 FOOTMASTER GF-series casters can be manufactured with or without swivel feature and brake and are designed to withstand temperatures ranging from -10~ +90 degrees C (14-194 degrees F). Our industry-unique bush-shaft integrated shaft system has been developed through precision processing and engineering to eliminate the harmful gaps and friction between the bush and bearing common with other heavy-duty casters, so you can be confident in the longevity and structural integrity of our product. 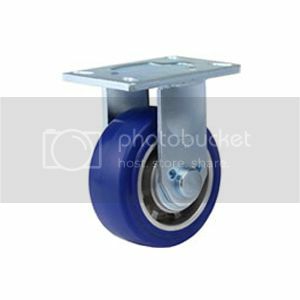 These RoHS certified casters have already proven themselves to be the preferred choice for the aerospace, automotive, and marine industries but the applications for a caster of this quality are truly limitless. 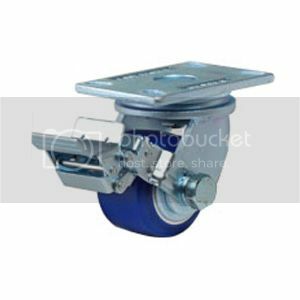 Contact us now to see why the GF-series caster by FOOTMASTER is the right choice for you too. Forged steel top-plate and frame, interchangeable nylon/poly wheel options, optional anti-static wheel options. 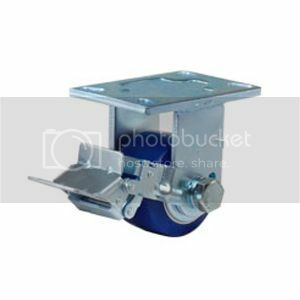 Leading Edge brake available on 6” (150mm) and 8” (200mm) swivel and all rigid sizes, trailing edge brake available on all swivel and rigid sizes. Field-installable brake. All swivel models feature a shielded double-ball raceway to help prevent unwanted buildup. All sizes standard with dual precision ball bearing.